Batch combine or export video clips. Is there a better alternative to MovieTool? Is MovieTool really the best app in Video category? Will MovieTool work good on macOS 10.13.4? 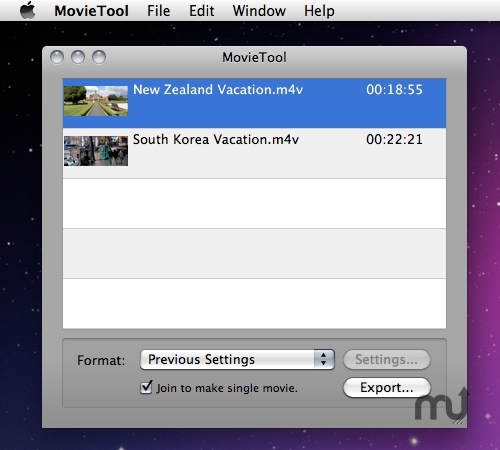 MovieTool... Batch combine or export video clips to any format supported by QuickTime. Beautiful Mac interface. MovieTool needs a rating. Be the first to rate this app and get the discussion started!